Look exciting and fresh whether you're at work or at the mall with the Pura Vida Midnight Waves Bracelet. With its intricate design that is expertly crafted to perfection by Costa Rican artisans, this arm-wear is everyone's best friend. This bracelet is 100% waterproof and wax-coated. It features an iron-coated copper "P" charm and is adjustable from 2-5 inches in diameter. Midnight Waves enhances your daily look by turning simple into something extraordinary. 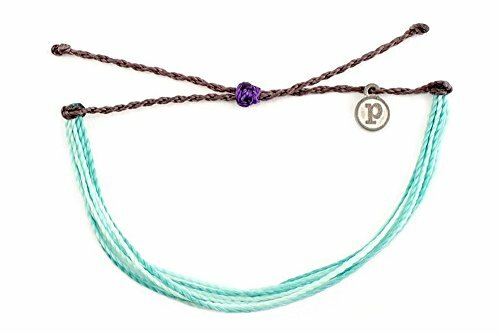 Every bracelet from Pura Vida is unique and hand-made. Each item produced is unlike any other.